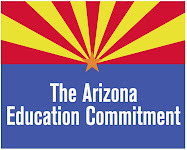 .An analysis by the Arizona Education Network of the Arizona Learns 2008-2009 Achievement Profiles for All Schools published by the Arizona Department of Education shows that traditional public schools performed better than charter schools over the same period. The report lists the performance results of 463 charter schools and 1432 non-charter, traditional public schools. Breakdowns of the schools' performance ratings are as follows. When the top three categories (Excelling, Highly Performing, and Performing Plus) are aggregated, 73.04% of traditional non-charter schools are in these three categories versus 44.71% of charter schools. Most concerning are the 5.25% of charter schools that are underperforming or failing versus 2.7% for traditional schools in these categories.